A God Who is More Fantastic Than Disney! Before my daughter, Dana. started work at Disneyland she had to take a class called “Traditions.” In this class, Disney employees (called “cast members”) learn the traditions and values upon which the Walt Disney Company was established so that they can continue in those traditions and provide parks guests with the ultimate magical experience. In the class, they heard stories of their founder, Walt Disney, that helped establish Disneyland as the happiest place on earth. And one of the stories Dana told me about struck me in a particular way. That night, after the park closed, Walt ordered that every horse on King Arthur’s Carousel be painted white so that no child would ever cry again for not being able to ride the white horse. 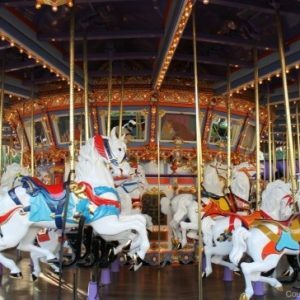 To this day, every horse on what is now known as Sleeping Beauty’s Carousel is white, so every child who rides on the carousel will feel special. Jesus said in Matthew 7:11: “If you then, being evil, know how to give good gifts to your children, how much more will your Father who is in heaven give what is good to those who ask Him!”Walt Disney was just a man, and he had limited resources when he opened that park. And if he’d go to that extreme to please a little boy who isn’t even his own, how much more will our Heavenly Father (who owns the cattle and the white horses on a thousand hills!) make the effort to please the hearts of His own children? Our God’s resources are so much more than Walt Disney’s were when he opened his park. And our God wants to bless, but in a way that’s eternal, not just temporal. And in addition to wanting to bless, He knows what’s best for you and for me. Can you trust that God knows your life’s story and He can still work it out even if right now, you aren’t sitting on a white horse? Can you trust that He doesn’t need to repaint…He already has your story written and perfected? And will you trust that He knows exactly how to get you to the happily ever after! In Psalm 84:11: we are told “The Lord God is a sun and a shield. The Lord gives grace and glory. 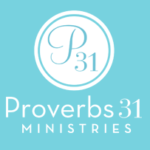 No good thing will He withhold from those who walk uprightly.” If you are asking God for something “good” and He’s not granting — it either isn’t truly good for you — or it isn’t time. Trust Him. He specializes in the happily ever afters. And He always knows what is the very best for His children. Is Our Culture Forsaking God? on A God Who is More Fantastic Than Disney!.